What is Aeration you may be asking? Aeration is the process of creating space for the expansion of grass root systems, to loosen compacted turf and to allow access of water, air and nutrients. This is typically accomplished using specialized equipment that either extracts plugs of grass or punctures holes into the ground at set intervals. Why is Aeration important? Simply put, allowing grass roots to expand and giving them access to more water, air and nutrients allows will result in stronger, healthier grass. This grass will not only look better, but will also be better equipped to prevent the infestation of weeds. Will just Aeration be enough? Yes just aeration will improve your lawn. However by combining it with other practices, you can improve the efficacy of the process. By combing Aeration with Overseeding, you can position your lawn for massive improvements for next year and years to come. Overseeding? This is as simple as it sounds, laying out seed over your turf. This seed will help fill in bare areas and ensure uniform growth. Landscape By Terra uses a premium seed during this process. This is done immediately after Aeration. You may be asking yourself why this is important now? A good combination of rain and cool/lukewarm temperatures creates the ideal time for grass growth. Due to this, early Fall and Spring are the best grass growing seasons in our central Ohio area. Aeration with Overseeding now will give grass everything it needs for both the Fall and Spring growing seasons before the stress of the Summer heat. 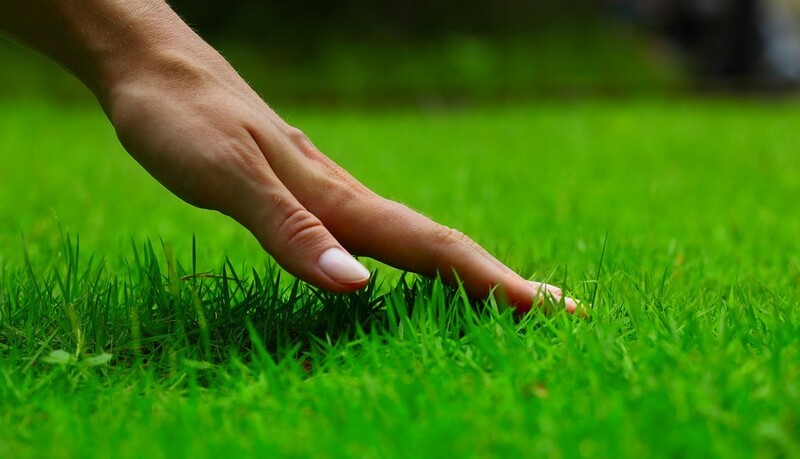 Not only will you improve your lawn for next year, but you will enrich your lawn for many years to come!